Barter Books : Curely, A; Perrier, Robert; Bornemann, S [ed.] Trouvin, Marguerite [illus.] : Le Golf. No 17. Tous les Sports par des Champions. 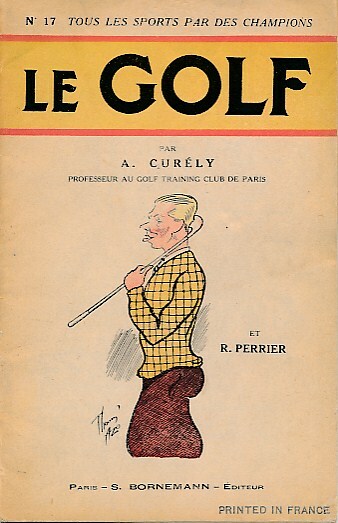 Colour front cover; b/w illustrations on swing and position. 180 x 110 mm (7 x 4 inches) - 32pp. G: in Good condition without dust jacket as issued. Cover darkened with split to spine. Text in French. Small booklet.